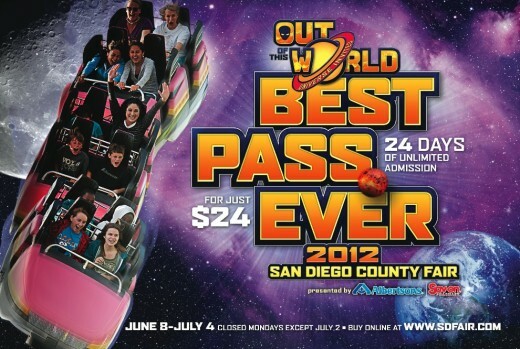 The San Diego County Fair will be “Out of this World” when it kicks off June 8 at the Del Mar Fairgrounds. 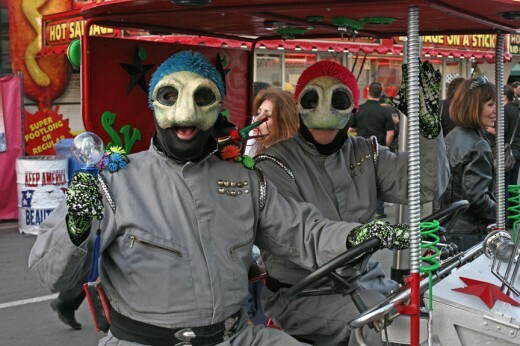 The theme promises everything from space exploration and science fiction to visitors from other planets. But there’s plenty that we Earthlings can do to keep our fair expenses grounded. For super fans, the Best Pass Ever can’t be beat. It includes daily admission – all 24 days of the fair – for just $24. You’ll need a school or government-issued photo ID to use the pass. Tuesdays are the magic day for kids 6-12 years old. They get in free! Kids 5 and younger get in free everyday. Kiddies can’t make it on a Tuesday? No problem. Youngsters 6-12 can get in free any day if they read 10 books and have it verified by their teacher or librarian. The certificate you’ll need to get signed can be downloaded in English or Spanish. Been laid off in the past year? Present an unemployment check stub and a photo ID at the will-call window on June 19 or 26 to get free admission for yourself and a guest. County auto dealers are in on the action this year. Starting June 1, visit a Toyota dealership to get a coupon valid for two adult admissions for the price of one. Visit a Ford dealership to get a 4-tickets-for-$28 coupon. Once you’re inside, there are tons of free things to enjoy – including concerts by big name artists. Get free unreserved seats at performances by top artists including Kenny Loggins, KC & the Sunshine Band, Ben E. King, Bill Medley, Switchfoot, Lonestar, Grand Funk Railroad and La Arrolladora Banda El Limón. Avoid the fair’s $10 parking fee by opting for free parking at Horsepark, about 2 miles east of the fairgrounds, at 14550 El Camino Real; a free shuttle will get you to the front gate. On weekends and Wednesdays there’s additional free parking (with shuttle service) at Torrey Pines High and Mira Costa College’s San Elijo campus. Know of any other great San Diego County deals or savings? Let us and others know in the comments below. 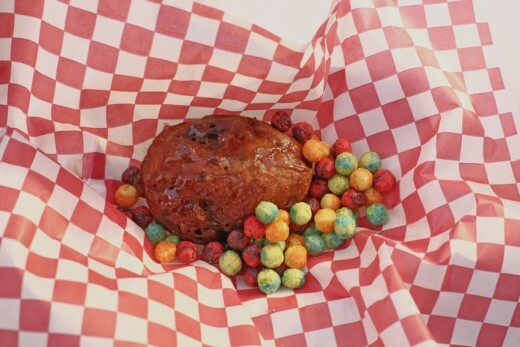 Even if you don’t know of any, tell us what deep-fried treat you are most looking forward to trying. This is a perfect weekend to bring the kids to San Diego for a whole host of family friendly events. Below are your five to try. 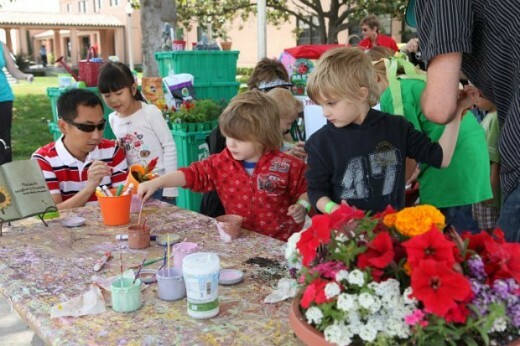 The second annual KidsFest will transform the NTC Promenade in Point Loma, June 9 and 10 into a wonderland of play, with activities designed to stimulate and celebrate the imagination. 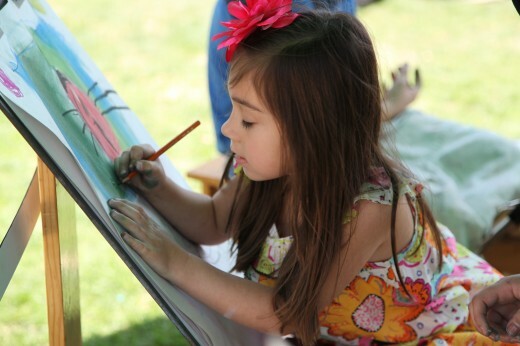 Signature events include a Creation Station, where kids can paint masterpieces or Dance Avenue – a pure, nonstop musical haven for kids to drum or dance the day away. Save $2 with this coupon for everyone! Opening June 8 and running through July 4, the San Diego County Fair invites the universe to its “Out Of This World” celebration! Explore both the serious and not-so-serious sides of space exploration. 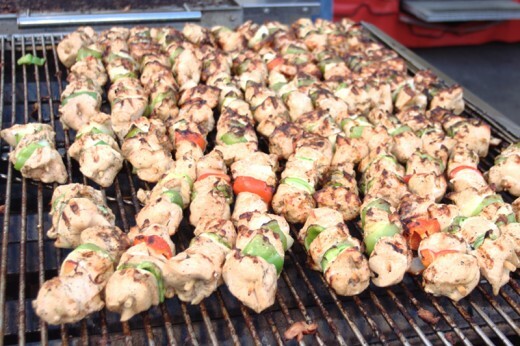 Don’t forget to try some of the out of this world food offerings including the Porkabello Kabob (bacon-wrapped, Gouda-stuffed portabella mushrooms on a stick) or Deep-Fried Cereal! Drive up to Julian on June 9th or 10th to experience the Julian Gold Rush Days. Activities include historical encampments (with a chance to meet miners, mountain men & cowboys! 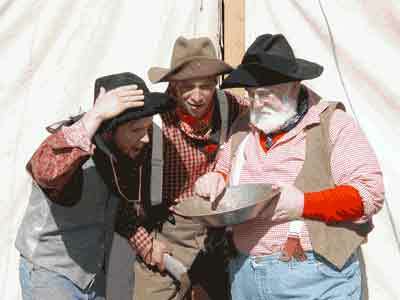 ), gun fighting, reenactments & mock claim jumping, tomahawk throwing demonstrations, and gold panning. The old-fashioned mining camp will offer free admission, vendors, an arts & crafts market, food & drink, gem mining, children’s pioneer games, free parking & plenty of family fun. 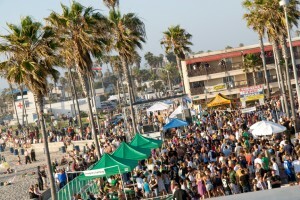 Head up the coast on June 9 for the fifth annual Carlsbad Beach Fest. Join over The Fest brings together the community for a fun-filled annual celebration on one mile of beach, stretching from Pine Avenue to Tamarack State Beach. The festival features competitive sporting events, live music on multiple stages, food, green product vendors, kite-flying, sand-sculpting, a health and safety expo, opportunity drawings and prizes, a massive beach cleanup and much more. Dine your way around one of San Diego’s most liveliest neighborhoods during the two-day Taste of Gaslamp. 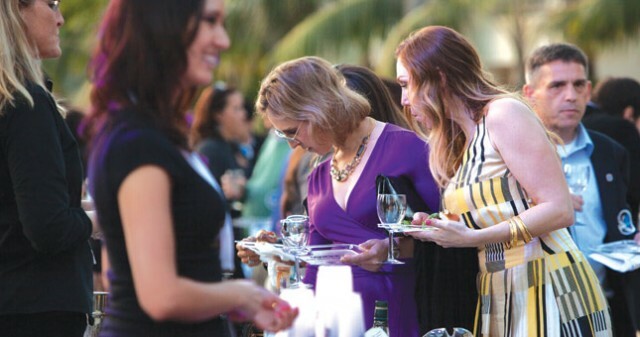 The Gaslamp Quarter Association hosts a great food sampling event each year, showcasing its Chefs & World Class Restaurants. 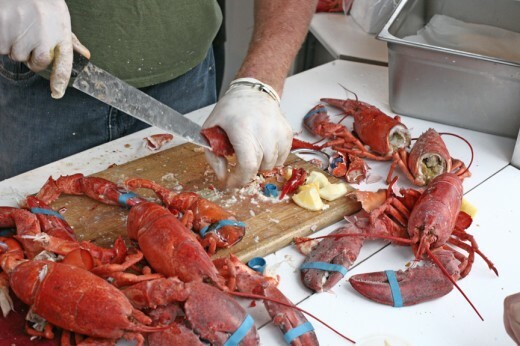 This fantastic and delicious event June 9 and 10 provides an opportunity to test out many locations in one afternoon. 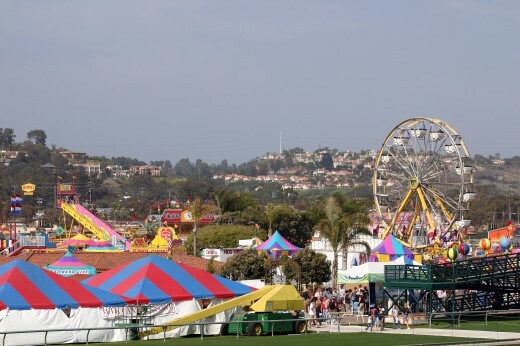 While the doors to the San Diego County Fair doors officially open today at 11:00 am, the fun will begin at 10:00 am with the opening ceremonies. During the opening ceremonies, there will be entertainers, a marching band, raising of the national flag and singing of the national anthem. After the ceremony ends you can head inside to enjoy rides, shopping, carnival games (I can never knock down all three bottles! 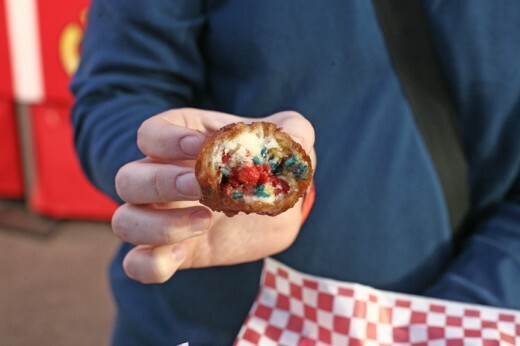 ), concerts and of course deep-fried goodness (try the deep-fried Koolaid, it tastes like a pink doughnut). For thrill seekers, try the 130 foot bungee jumping. I got a chance to jump during the Fair’s media night last week and while it looks easy from the ground, it gets a little scarier as the crew slowly raises you up to the apex. You just have to lean forward and let go! For today you can check out the Purina Incredible Dog Challenge to see top canine athletes compete in diving, pole weaving and more (if only my dog was that well-trained). If you stay well into the evening, Pat Benatar and Neil Giraldo will be performing at the Heineken Grandstand Stage and Badd Co, a Bad Company tribute band at the Coors Light Rock on Stage. For a full list of entertainment and concerts, check out the San Diego County Fair website. 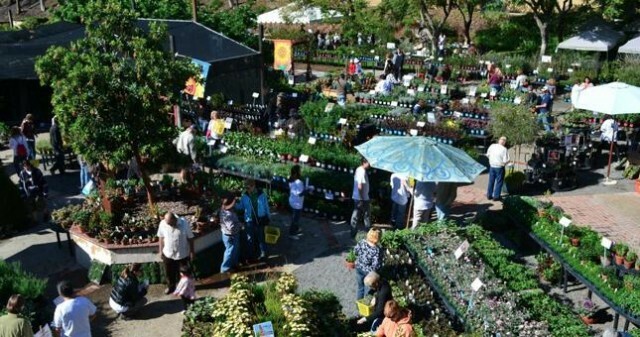 Also, check out our tips for frugal fair-goers. 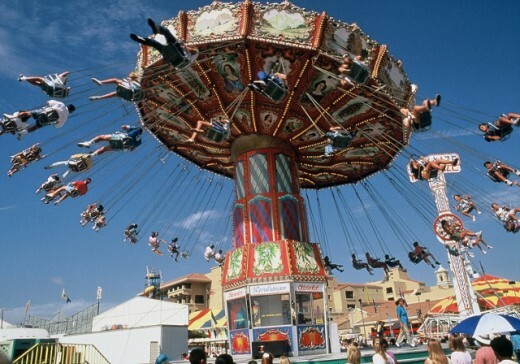 The San Diego County Fair opens June 10 and runs through July 4. (Closed the first three Mondays.) 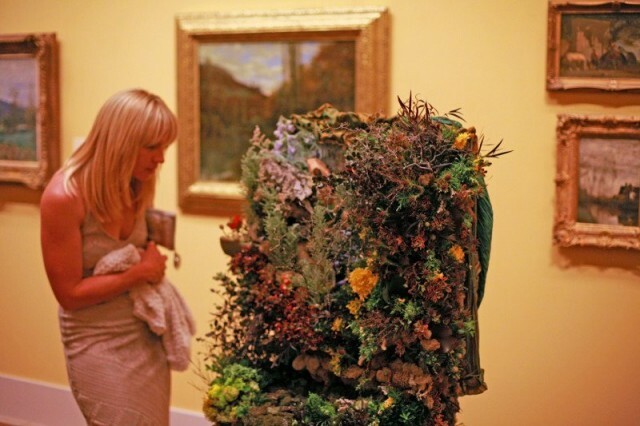 General adult admission costs $13 and those 62 and older pay $7 – but deals abound. For super fans, the Best Pass Ever can’t be beat. It includes daily admission – all 22 days of the fair – for just $22. You’ll need a school or government-issued photo ID to use the pass. Been on unemployment during the past year? Get free admission for you and a friend on June 21 and 28. Just go to the Will Call window near the O’Brien gate with a recent unemployment check stub and a photo ID. The same deal is available to Golden State Advantage (public assistance) cardholders. Additionally there are discounted tickets available on military bases for those with appropriate ID. Once you’re inside, there are tons of free things to enjoy – including concerts by big name artists. Get free unreserved seats at performances by Pat Benatar, Randy Travis, Switchfoot, the Doobie Brothers, Paul Revere & the Raiders, Foghat, Uriah Heep, Joan Jett, Neon Trees, The Beach Boys, Grand Funk Railroad, REO Speedwagon, Big Time Rush, La Arrolladora Banda El Limón, Larry Hernandez and Espinoza Paz. The Passport to Savings booklet is available at the fair for $5. 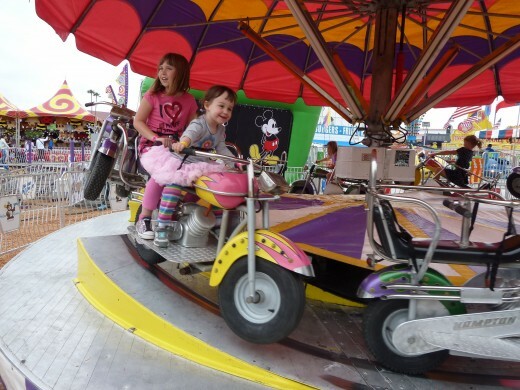 It includes coupons valued at more than $10,000, ranging from a return ticket to the fair to discounts on food and rides. Parking a car at the fair costs $10; it’s $15 for preferred parking. But there’s free parking at Horsepark, just to the east of the fairgrounds; a free shuttle will get you to the front gate. On weekends there’s additional free parking (with shuttle service) at Torrey Pines High and Mira Costa College’s San Elijo campus. 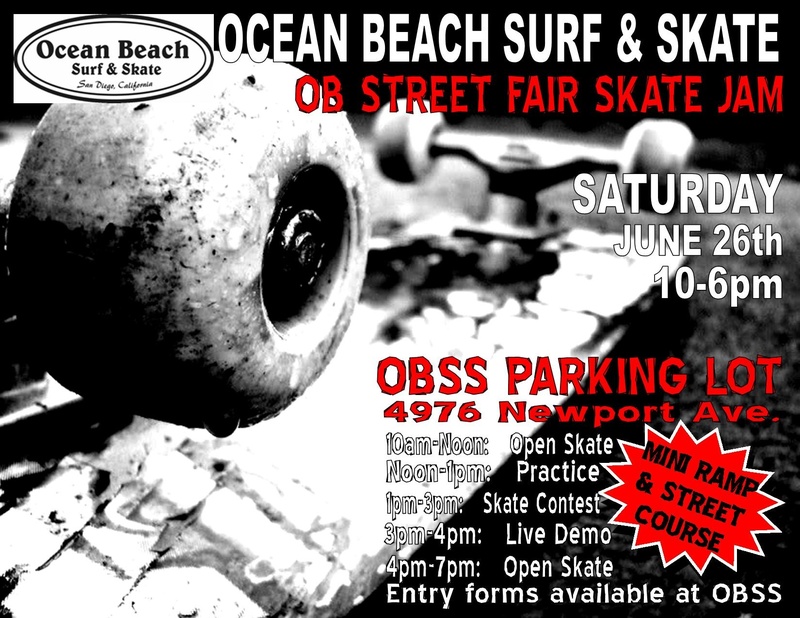 The 31st Annual Ocean Beach Street Fair & Chili Cook-off is this Saturday from 10 a.m. to 8 p.m. on Newport Avenue. This FREE event will feature more than 200 vendors, art, food, rides, a children’s area, a SkateJam, entertainment on five stages and of course, delicious chili! Tantalize your taste buds this weekend with a downtown dine around. The 17th annual Taste of Gaslamp Quarter will be held both Saturday and Sunday from 1 to 4 p.m., offering more than 30 food samples each day. This self-guided tour will introduce you to a number of downtown San Diego’s best restaurants so “come hungry and leave happy.” Tickets are $30 per person. 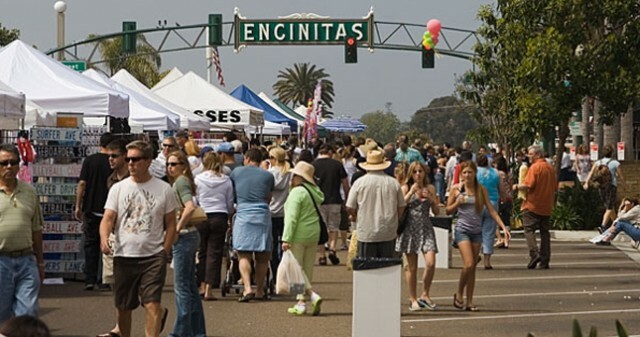 This Saturday and Sunday is the 24th Annual La Jolla Festival of Arts and Food Fair from 9 a.m. to 5 p.m. on the UCSD campus. This event will showcase amazing art from over 200 artists, live entertainment, celebrity chef demos, an amazing street chalking exhibition and more. Admission is $10. On Saturday, the San Diego Zoo will kick-off of its Nighttime Zoo summer celebration when guests get to stay late and explore the park until 9 p.m. As the sun sets, fun after-hours entertainment begins including an interactive show in with Dr. Zoolittle, high-energy animal art; amazing acrobats, tropical musical performances and a high-flying bird show. Nighttime Zoo is included in park admission and will be offered until September 6. Celebrate 100 years with the San Diego Symphony’s Bridgepoint Education Summer Pops concerts. The outdoor concert series will kick-off this Saturday with the Tux N’ Tennies Summer Bash, staring Toni Braxton. Concerts take place all summer long along San Diego Bay and feature food, fireworks and fantastic music. This year’s 100th anniversary pop series last through August and will includes performances by Gladys Knight, Marvin Hamlisch, LeAnn Rimes, and more. 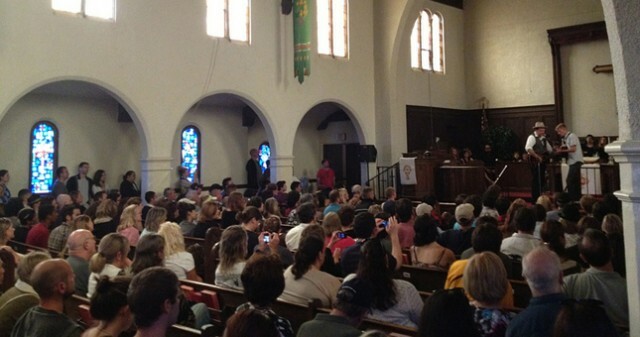 Click here for more concert information; ticket prices vary. In other news: Don’t forget to cheer on the US soccer team this Saturday as they battle it out with Ghana. You can catch the game at any of these places. Halloween may be on Saturday, but that won’t stop the Gaslamp Quarter from “dressing up” in period costume the next day, Sunday, November 1, during the 9th annual Fall Back Festival. 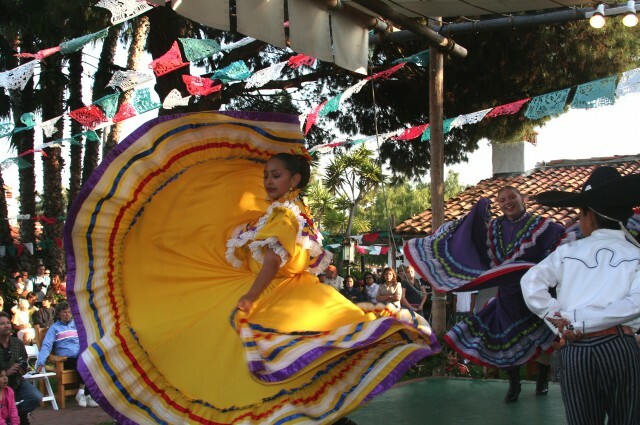 The street fair includes “wild west” entertainment such as staged shootouts and rope tricks as three stages showing folk dancing, live bluegrass music and more. 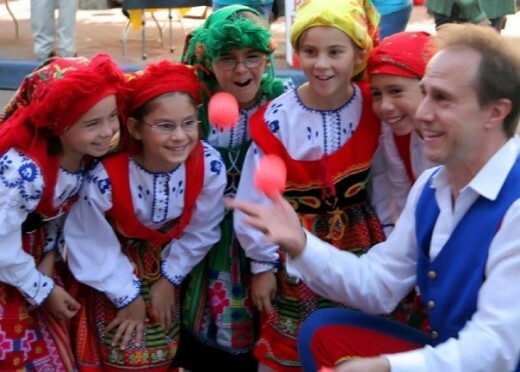 Kids can participate in crafts and contests, pan for real gold, and learn about Caliornia history through puppet shows and live demonstrations of lost skills. 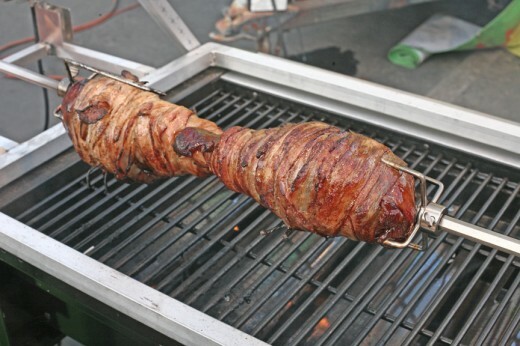 And, of course, there will be all the fun stuff you’d expect to find at any good street fair — food, face painting, caricature art, inflatable jumps and carnival games. Fall Back Festival takes place on Island Avenue — between 4th and 5th Avenues — Sunday, November 1, from 11:00 A.M. to 4:00 P.M. (Remember, our clocks fall back one hour that day, too.) Admission is $5 for ages 3 and older. 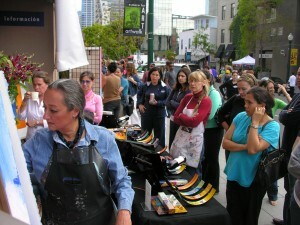 For more information, visit www.gaslampquarter.org or call (619) 233-4692.